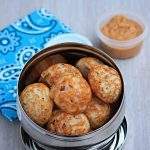 Recently after my father was diagnosed with Diabetes, I have been looking for recipes that my mother can make for him. 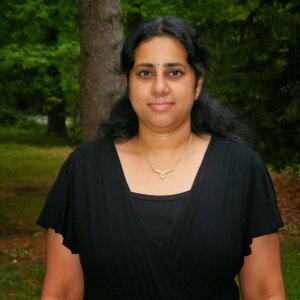 Swathi who blogs at Zesty South Indian Kitchen had got together few bloggers to write for the World Diabetes day. It was amazing to see so many different mouthwatering recipes at the event. This is another recipe for my mother to try for my dad. 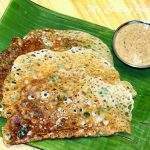 We really liked the dosai and it was no different than any other instant dosais. Ragi or finger millet is a widely grown plant in Asia and Africa. This is called Kezhvaragu in Tamil and is often a main ingredient in cereals made for babies. Ragi is ground with water and then the milk is extracted out of it which is then sun dried and powdered again to use as porridge for babies. Both my kids grew up on Ragi kanji. In fact my little one still eats the ragi kanchi mixed with some oats for his morning breakfast. 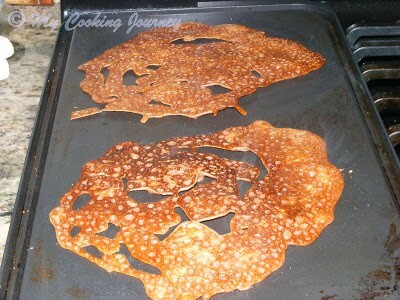 This week I am going to be making instant idlies and dosais for Blogging marathon. 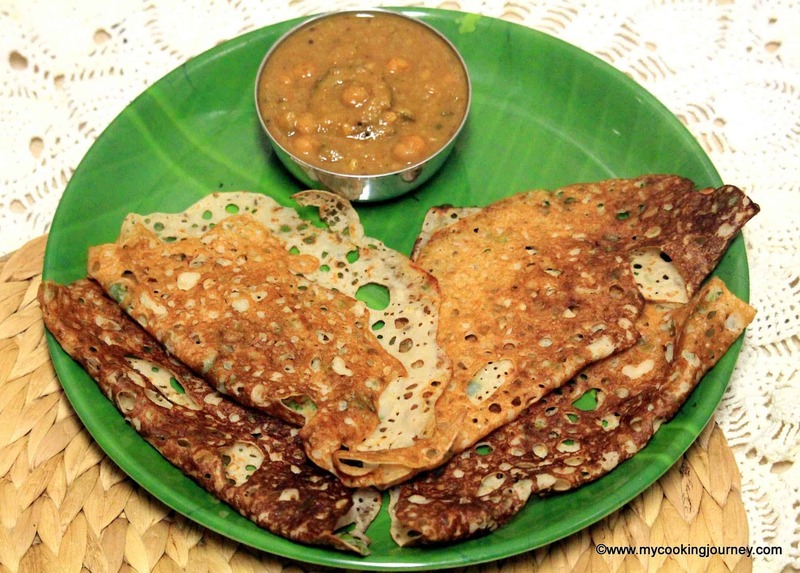 This is a quick dosa and perfect for weeknight dinner. 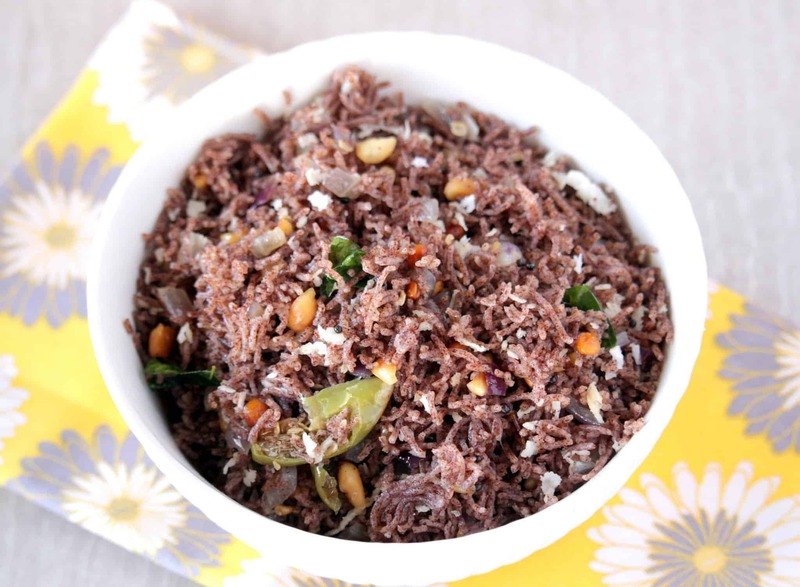 I added wheat flour and rice flour with ragi flour, but if you are making this for a diabetic person, leave the rice flour out and increase the wheat flour quantity. Mix all the flours in a wide bowl. Add the buttermilk and enough salt and mix well. Now add water to make it into a very thin batter. The batter should be much thinner than regular dosai batter. In a small pan, heat 1 tsp of oil. 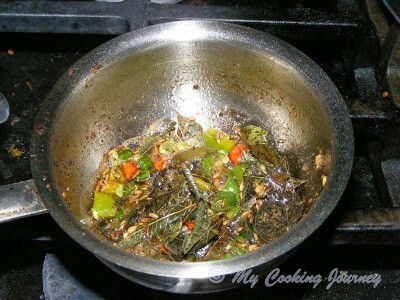 Add the mustard seeds, cumin seeds, green chilies, ginger and curry leaves. 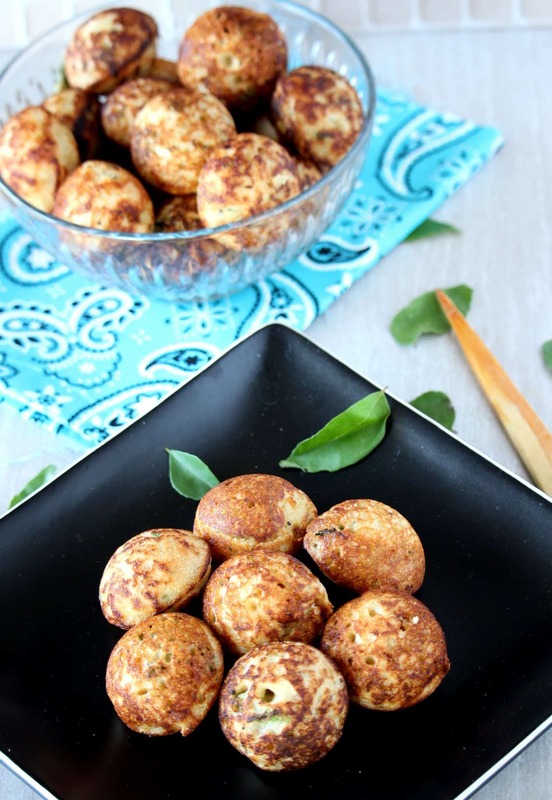 Let it fry for a minute and then add it to the prepared dosai batter. Add the chopped onions as well and mix. Heat a griddle/tawa on medium high heat. 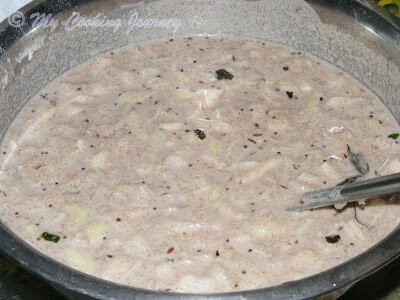 Once the tawa is heated through very well, pour the batter from outside to inside to form a circle. 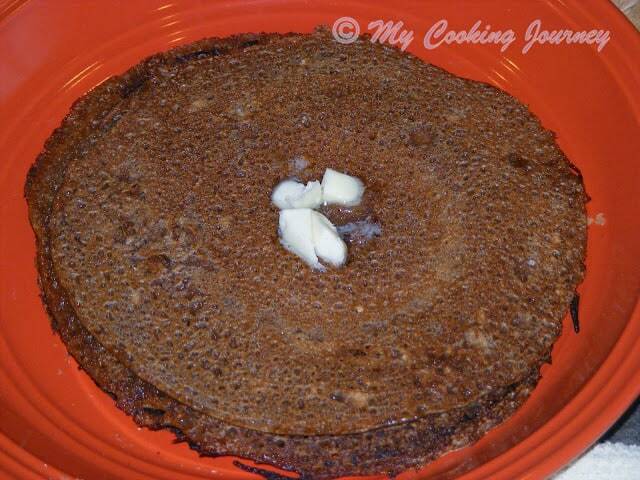 The dosai will have holes and spaces in them (just like rawa dosai). Add a little oil around the edges and let it cook. Once cooked, flip over the dosai and let it cook on the other side. Remove from the griddle and then repeat the same with the rest of the batter. 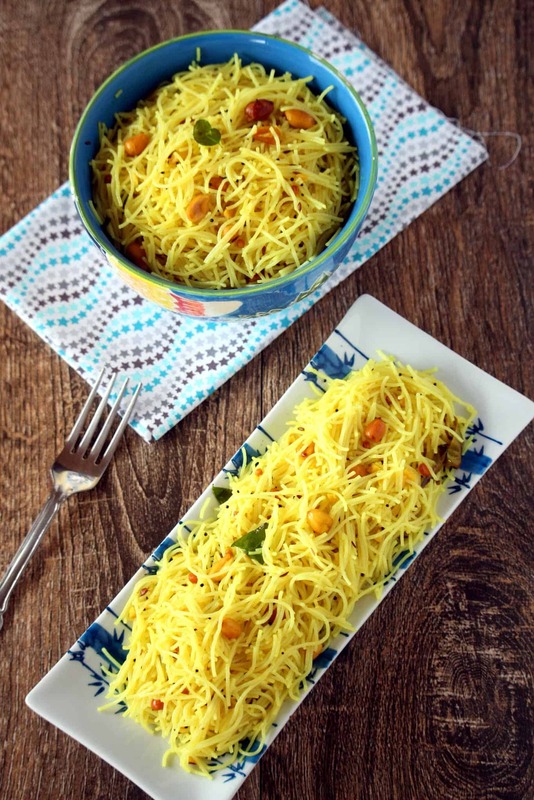 Serve with your favorite chutney or sambhar! I served it with some peanut chutney. 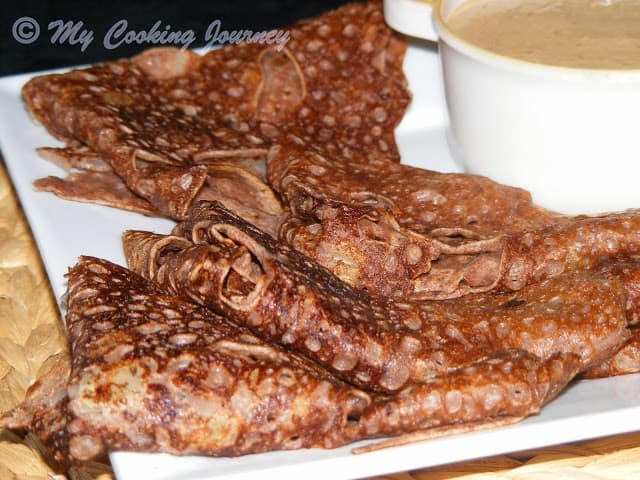 The dosai cane be made only with ragi and wheat flour and you could leave the rice flour. In that case use ½ cup of wheat flour instead of ¼ cup. If making for a diabetic person, I would leave the rice flour out. 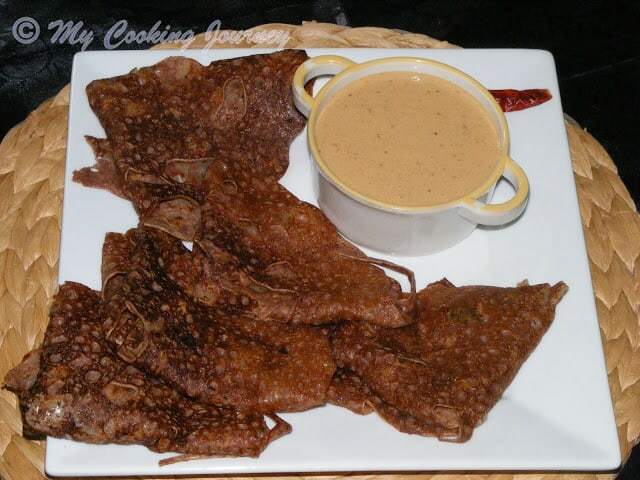 The dosai will be darker than the regular dosai, since the ragi flour is dark in color. 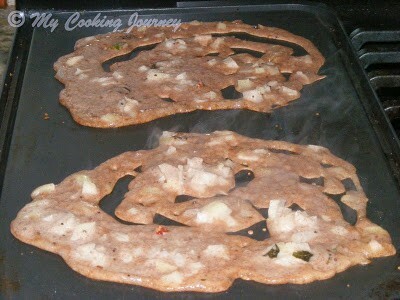 Adding onions adds a sweet flavor to the dosai. If needed onions can be omitted. very healthy and delicious!!! 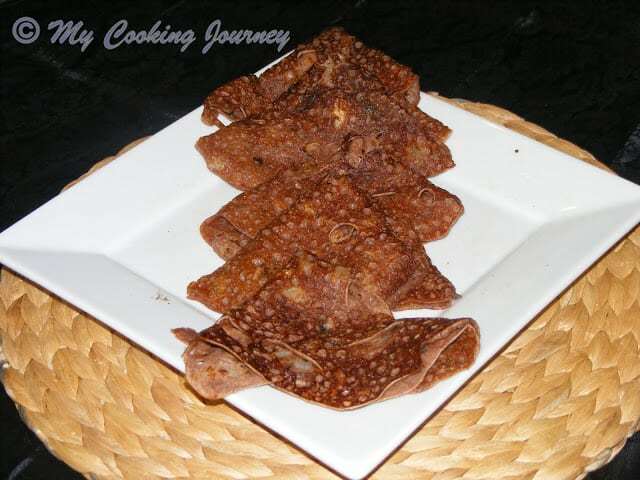 I also make this dosa quite often!!! so yummy!! Healthy dosa's!!! I make it without rice flour. With a good chutney makes a filling breakfast!!!! 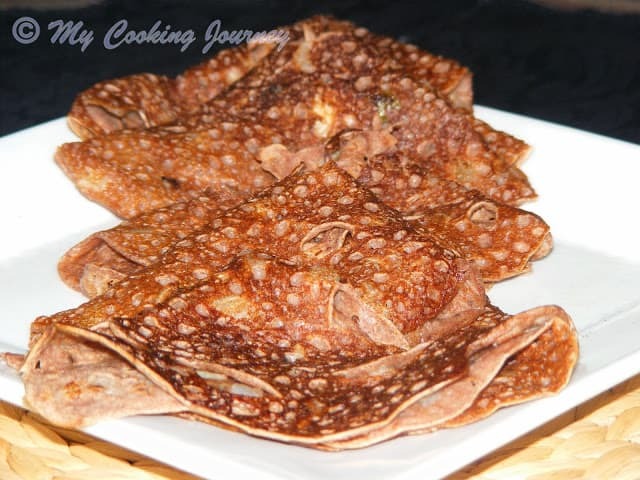 That is one healthy instant ragi dosa. I should share this recipe with my mother. She too is diabetic. 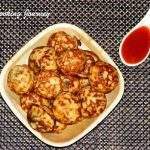 This is something I make when we are out of Dosa batter. Nice pan you have,great to make two dosas at a time! What an amazing dosa variation. They look lacey and delicious. very healthy n yummy dosa..
Good one. 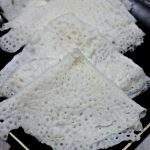 Looks like the lacy rava dosa!